Lauren is a smooth beauty with generous length and fantastic movement. 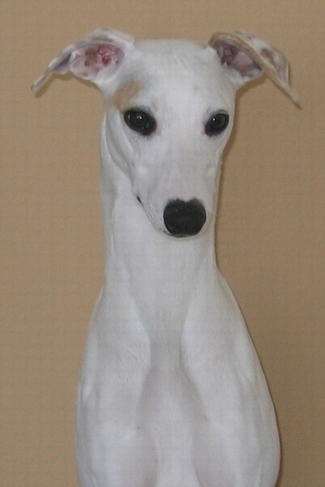 She is our most vocal whippet and just loves to sing La Traviata! Lauren is shown going Best of Breed from the puppy class in Placerville, California. Shown at her seven months debut going Best of Winners in Hanford, California.